1 Kg Black Forest Cake. 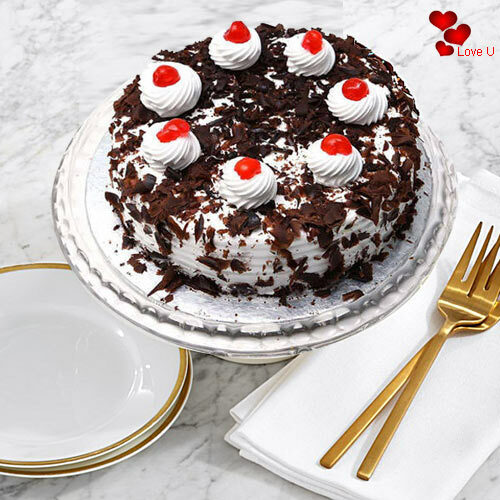 Delicious freshly baked Black Forest cake from Taj/5star Bakery,made by the finest chefs in the country.The cake is hand delivered to ensure freshness. 1 Kg Black Forest Cake with Mixed Flowers Bouquet.Delicious freshly baked Black Forest cake from Taj/5star Bakery,made by the finest chefs in the country.The cake is hand delivered to ensure freshness. 1 Kg Black Forest Cake with 24 Red Roses.Delicious freshly baked Black Forest cake from Taj/5star Bakery,made by the finest chefs in the country.The cake is hand delivered to ensure freshness. 2 Kg Black Forest Cake.Delicious freshly baked Black Forest cake from Taj/5star Bakery,made by the finest chefs in the country.The cake is hand delivered to ensure freshness.